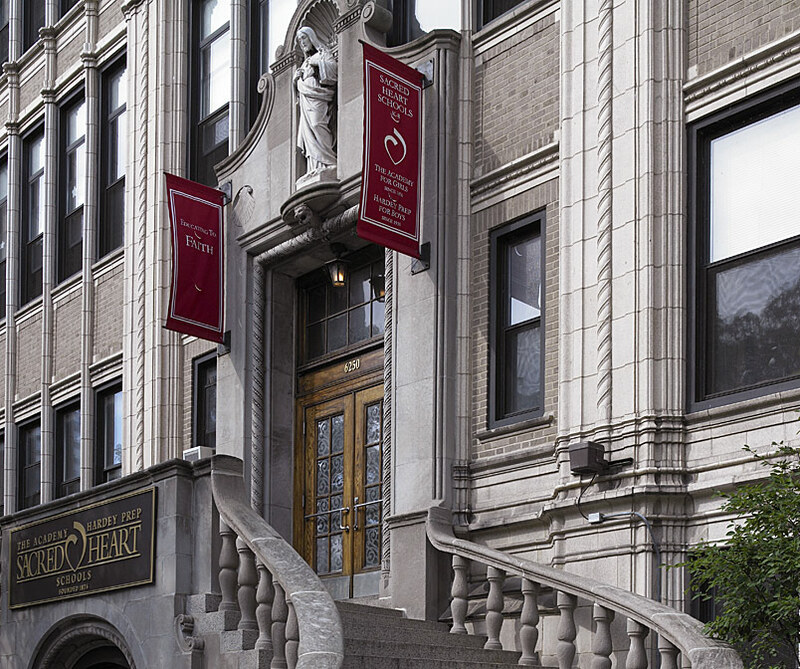 AltusWorks’ Principal Ellen Stoner has a long history with Sacred Heart, a private school located on Chicago’s far north side. 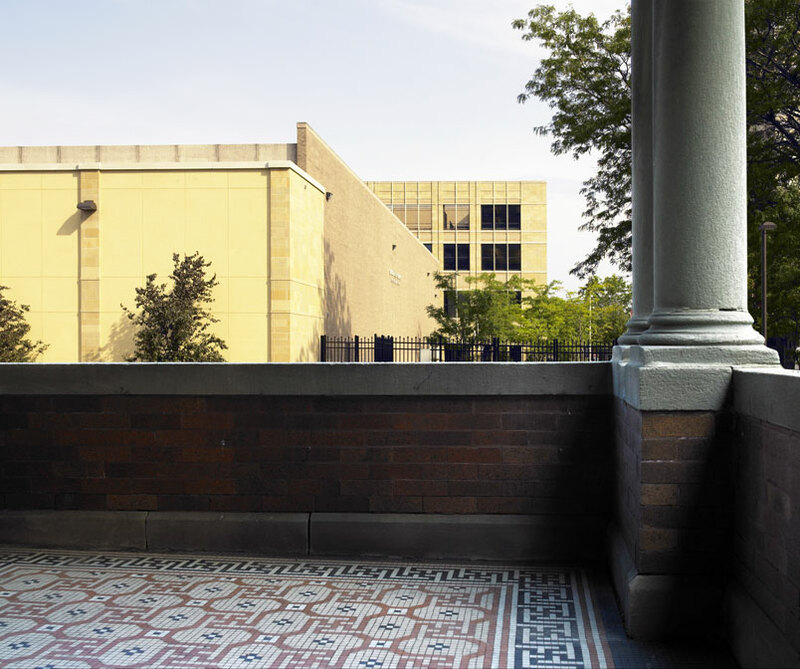 Prior to starting AltusWorks, Ms. Stoner was Project Manager and Architect for a major project at the school’s main building, a distinctive 1920’s structure clad in decorative terra cotta. 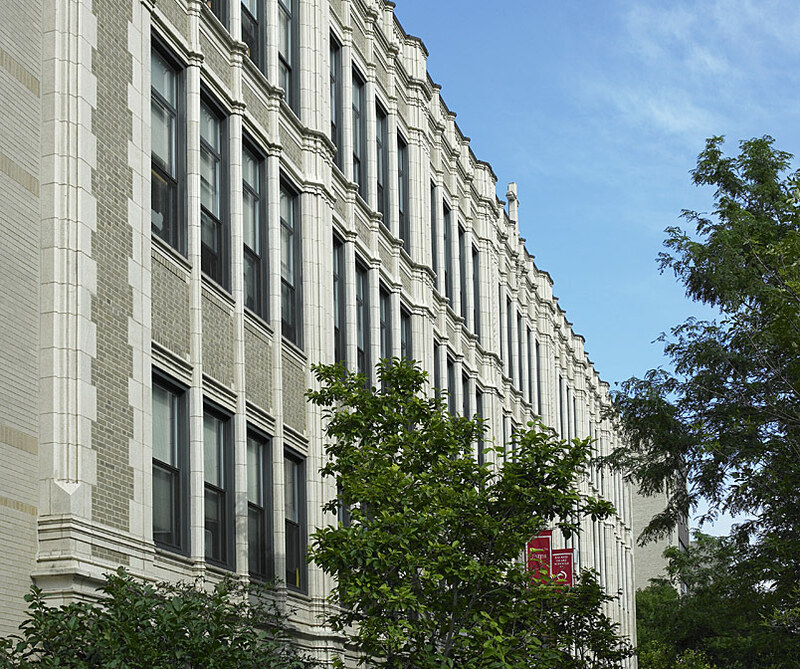 In its ongoing campus expansion and renovation program, the school hired AltusWorks in 2003 to convert an exterior performance stage into a storage facility. Because the storage facility is the focus of the campus’ south elevation, AltusWorks designed a solution that is aesthetically complementary to the main building and that is in harmony with the campus master plan.